A young beauty sprung from an insane asylum, a hired killer with a bad case of workplace anxiety, a calculating philanthropist and his orphaned nephew create nonstop havoc in this 1972 French novel, translated into English for the first time. The opening scene might lead you to expect the grisliest kind of pulp fiction: The killer, Thompson, overcoming severe stomach cramps, shoves a hacksaw blade into the heart of a suspected pederast. And there certainly is no shortage of extreme violence. Right up until the end, people are getting shot, stabbed and bonked in the head with heavy objects, a department store is left in flames, and the French countryside is at risk from speeding vehicles. But this is at heart a merciless comedy in which every violent act and utterance carries the potential of hilarity. Julie, the beauty hired to care for the increasingly unstable young orphan, is a piece of work the likes of which we've never seen—lethal and maternal. Manchette, who died in 1995, was a master of control. The fierce deadpan tone of the novel never wavers even as its gang of criminals demonstrates its inability to shoot straight. As in a Jacques Tati film, sheer lunacy propels the story, one outrageous mishap triggering another. Set in the '70s, the book is on one level a sendup of classic noir, but it's no spoof, existing in its own perverse universe. 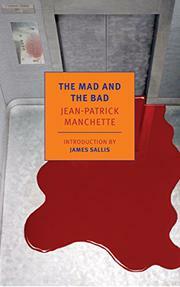 A minor masterpiece from a French novelist whose other recently reissued works include Fatale and The Prone Gunman.